The world’s largest fast-food chain said its global sales fell steeper than expected in January weighed down by food safety scandals in China and Japan. 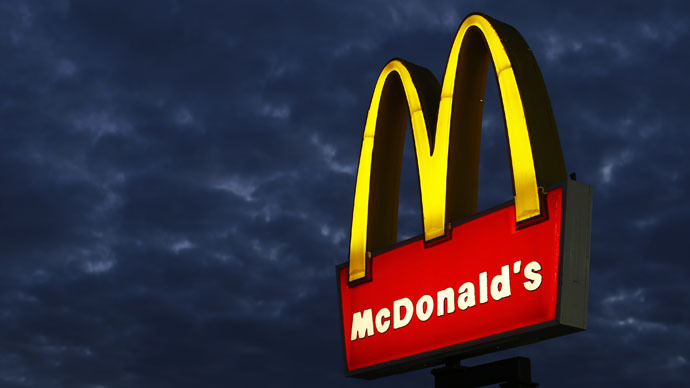 McDonald’s said sales dropped 12.6 percent in the Middle East, Asia-Pacific and Africa regions, slightly outweighed by an increase of 0.5 percent in Europe and 0.4 percent in the US where it faces sharp competition with such chains as Chipotle and Panera. The sharp decline in Asian sales was explained as a reaction to last year’s scandal in China where a food supplier allegedly used expired meat products. More problems came from last month’s disclosure of objects, including a tooth and a piece of plastic, found in food sold by McDonald’s in Japan. In Monday’s statement the company said it set restoring its reputation in Asia as a principal goal. It has suspended ties with major supplier OSI Group LLC, a subsidiary of which provided contaminated meat, and shifted its oversight to the chief financial officer in Japan. McDonald’s shares had been up 2.4 percent over the last 12 months, but slid $1.27, or 1.4 percent to close Monday at $92.72. The food chain has more than 36,000 locations around the world serving approximately 69 million people in more than 100 countries.